Better tools make better leaders. We offer an unmatched array of leadership programming developed and optimized over time to meet the unique needs of this community. Our programs are designed to inspire, challenge and connect business and civic leaders, from all career stages and backgrounds. See program overviews below, or get help choosing the program that’s right for you. Explore Your Community. Make New Connections. Magnify Your Impact. Focus Louisville is a two-and-a-half day, activity-filled program that offers everyone from newcomers to native Louisvillians a fascinating insider’s look at our community. Participants gain a more complete understanding of Louisville and its leaders, and a better sense of how to put leadership into action. Young professionals learn from Louisville’s top corporations and gain skills, confidence, problem-solving abilities and connections essential to professional success and effective civic engagement. Participants put their newly-honed skills into action by taking on projects for local nonprofits in this seven-month program. Harnessing knowledge, passion and connections to build a world-class community. Leadership Louisville is an in-depth 10-month experience in which participants fully explore and learn more about the region, including local government, education, economic development and the arts. Armed with new knowledge, connections and perspectives, participants are prepared to take their places as effective community leaders. Putting Leadership into Action, Solutions into Place. Bingham Fellows gathers together experienced leaders and subject matter experts to develop and implement creative solutions to our community’s most pressing issues. This nine-month advanced program for informed and dedicated leaders has over 20 years of history with impactful results. Only the Best Get an Encore. 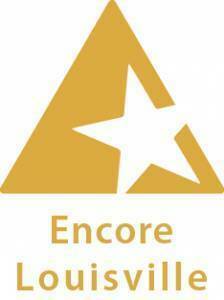 The newest Leadership Louisville Center program, Encore Louisville is for civic leaders who want to continue to give back to the community as they retire, approach retirement or transition from professional careers. This program enables participants to leave a legacy with a limited time commitment.